I have not worked out or biked for 1 month! This blog should have been called eatwalkeat because I didn't do much else during November. But I'm back now and ready to start the routine again. 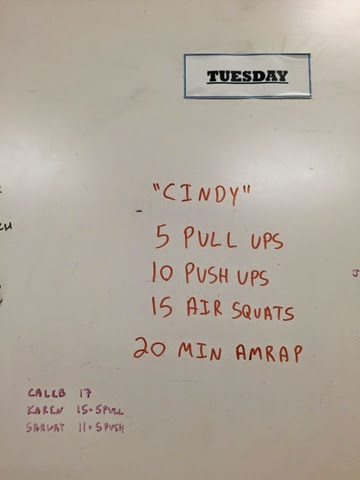 I did 11 rounds plus 5 push-ups. I'm going to be sore later. I have my first night bike ride tonight and I am looking forward to it! As for where I am: I gained 3 lbs this month, so not terrible but it's time to eat healthy 90% of the time! So I'll be good logging again to lee myself honest.